The biggest reward and joy a dentist can know is that their patients are free of pain, have good dental function, and are healthy. Not only is Dr. Lee passionate about providing her dental patients with care, she is concerned with their overall health as well. So it makes sense she would create Oral Sleep Appliances for patients with restricted airways, who snore and have sleep apnea, it is just one more way for Dr. Lee to help patients. For more than 20 years, Dr. Anna Lee has been providing care for the residents of the greater Los Angeles area and the San Gabriel Valley. A graduate from the University of Southern California, School of Dentistry in 1989, she holds an additional degree in Biological Sciences from the University of California, Irvine. 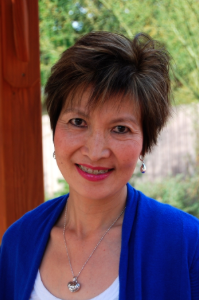 She started practicing dentistry in 1992 in Glendale, California and built a very successful practice. In 2008, Dr. Anna Lee purchased a practice in Glendora, where she currently cares for her patients. Dr. Lee is a member of the American Dental Association, the California Dental Association, and the San Gabriel Valley Dental Society. She also attended courses at the University of Pacific to work with individuals with special needs. Married and with two sons, Patrick and Simon, Dr. Lee has served as a board member of the Eastern Los Angeles Regional Center(2002-2008) for people with special needs. With a focus to help local dentists work collaboratively with the Regional Center, she improved access to oral health care for people with special needs. She has also provided dental education and support for parents and children, with and without special needs.